The first in a series, Libertaria: Genesis introduces us to LIB2125, aka Libertaria, a fourteen-year-old girl raised in a genetic factory by her minders and a nurse named J2ALA, or Jaala. As with most dystopian stories set in the future of the United States, the country has been fragmented, and no one is really sure who runs things. But that’s not important to this story, because it’s pretty much just a fight between the Factory and the Underground. 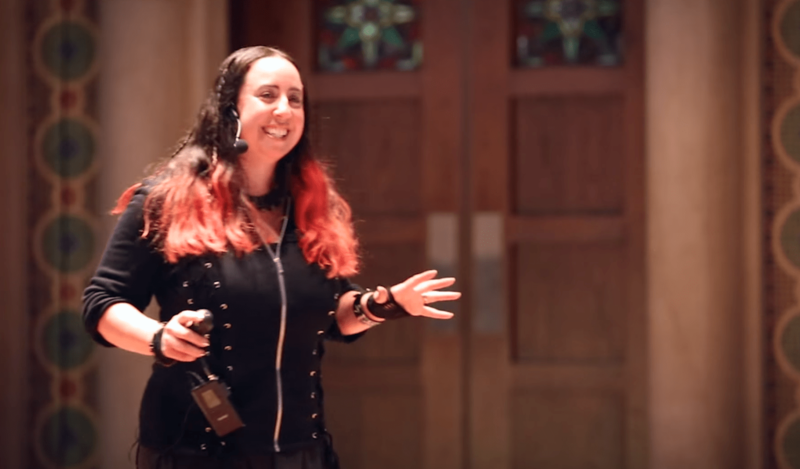 While I’m not sure if the book was intended to be YA or just has a YA-aged heroine, it does seem to have many of the hallmarks of YA: a female villain older than the female main character, a family-based secret, a resistance movement that’s “dirty” (in terms of cleanliness), and some sort of genetic or body modification. The setting isn’t particularly new, but it is vivid, showing with words the technological future that Young created in her opera. It’s also extremely diverse, as befits the future, with a cast that is mostly persons of color as well as of all ages and stages of modification. I’ll admit to having some difficulty getting into the book because I was viewing it with a more critical eye. I’m not a huge fan of the constantly-shifting points-of-view, some of which seemed to be third-person omniscient, and there were a lot of characters. At one point I had to create a mental character sheet and ascribe a couple of attributes so that I could keep track. As the book continued, motivations started to shake out and I was able to keep things straight in my head, but it was challenging at first. Additionally, the story really seemed to be more about the Underground fighters and their connections to each other (Simeon, Miguel and Lucinde, Gabe and everyone else), with Libertaria as more of an afterthought the further the book continued. My best comparison might be to how superpowered Willow became in Buffy season 8; she was so strong that including her in the battle scenes would’ve been pointless. Similarly, Libertaria becomes so powerful as the book goes on that once the reader figures out her abilities it’s pretty clear what’s going to eventually happen. I definitely admire what Young was doing here by expanding her vision and fleshing it out, giving it more depth and more detail as a novelization. However, I’m not sure that the story was new and different in enough ways to overcome the overcomplications I mentioned before. I was interested in the story in general, and some of the characters were compelling, but it’s hard to turn an over-the-top musical-theater villain into something that works on the page, and I’m not sure success was achieved. Nonetheless, I would recommend the book to anyone who’s seen or listened to the opera. Additionally, because this book was staged first, it’s an interesting study in differing ways of storytelling — music versus music-and-video versus book versus book-and-music. My copy of the book happened to have the soundtrack included (there was a free promotion on Amazon at the time), and while I haven’t had time to listen to it yet, it’s definitely on my list. After all, there aren’t very many sci-fi operas — at least, not ones that aren’t treated as a joke. Libertaria: Genesis is dystopian, and good at it, and that needs further examination. 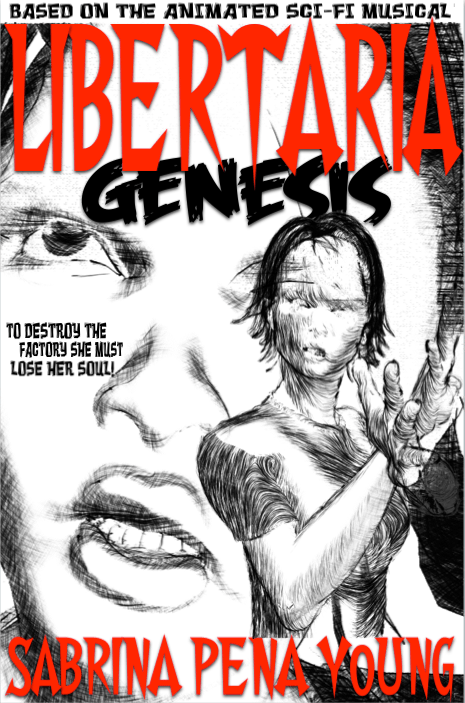 Libertaria: Genesis is available on Amazon and in paperback. Also, in the spirit of full disclosure, the author of the book and the author of this review have been friends since the 1990s. Note to Parents: This book contains strong violence, including torture. It should be okay for mature teens. Of course, you should use your own best judgment when it comes to your children. Our friends at the District of Wonders have a Patreon. If you’re a fan of sci-fi, fantasy, or horror, and you love audio fiction, take a look and consider supporting their efforts. Josh Roseman (not the trombonist; the other one) lives in Georgia. His fiction has appeared in Asimov’s, Escape Pod, and the Crossed Genres anthology Fat Girl in a Strange Land. His voice has been heard around the fiction podosphere as well, including here on Escape Pod. You can read many of his short stories in the collection The Clockwork Russian and Other Stories. Find him online at roseplusman.com, or on Twitter @listener42, and check out his column “Six of the Best” over @nerderypublic.